With three back-to-back sold-out headlining shows in Los Angeles this week, a wildly popular North American headlining tour wrapping-up and European dates on the horizon (dates below), BANKS has unveiled an astonishing new track titled “Underdog,” which premiered this morning on Zane Lowe’s Beats1 radio show. Listen to her interview with Zane HERE. 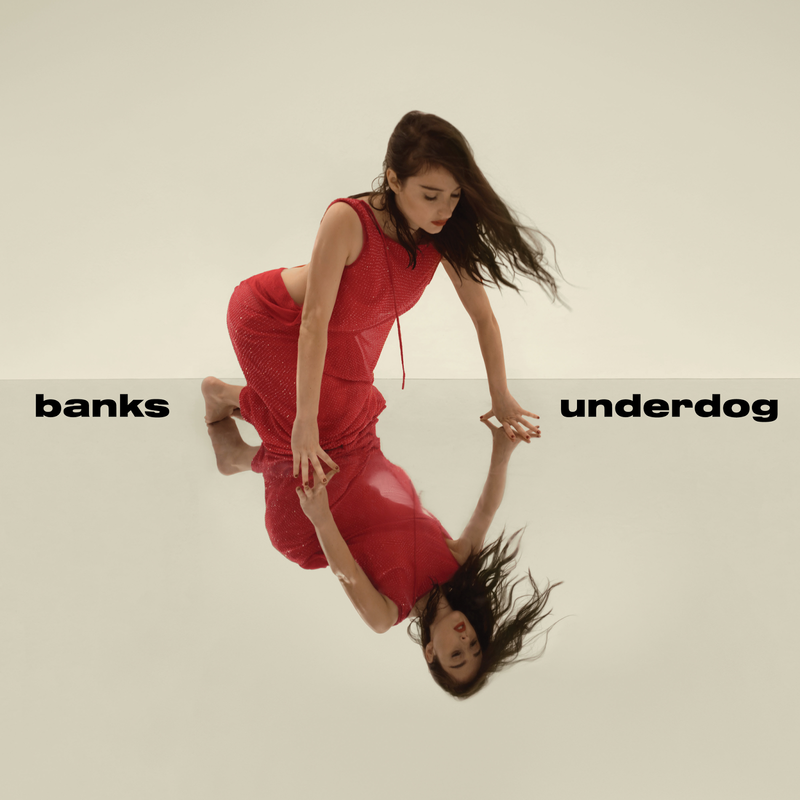 Available worldwide from today (Harvest Records), “Underdog” continues to affirm BANKS as one of the most compelling American artists around. Always seeking new territories to explore, genres to bend and expectations to defy, BANKS is one of those rare artists who refuses to compromise art over expectations, and today has released a surprisingly upbeat track dedicated to the unassuming, the under-appreciated, the underdogs of the world. This year BANKS has wowed critics and crowds with her incredible new live-set that incorporates choreography, visuals and performance like she has never done before. Touted as one of the major highlights to perform at the likes Coachella, Lollapalooza, and Governor’s Ball, BANKS shows no signs of slowing down. “Underdog” proves to be an early indicator that the brilliant young artist is merely warming us up for what’s to come in 2018.